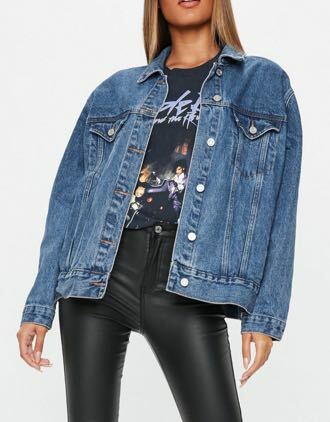 Oversized denim jacket. Worn a couple of times, so it’s in great condition! Selling because I ended up buying a different denim jacket I liked better. True to size for a 6, but is intended to be oversized. Perfect oversized fit.